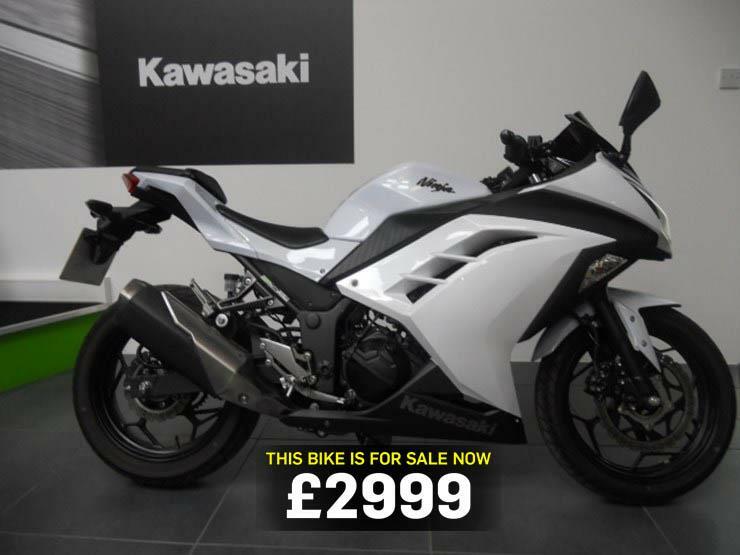 Today's bike of the day is this practical and economical 2014 Kawasaki Ninja 300. "With 5981 miles on the clock the bike is in general good condition. Would make a great first bike for any keen rider. Bike was recently serviced June 2016 and has full service history. MOT not due until 2017. Comes complete with Datatag security which is transferable to the new owner at time of purchase." "Kawasaki has hit the nail on the head with this bike. The firm says 40% of buyers will be under 24 years old, going on sales of the 250, and it’s this kind of grassroots support motorcycling needs. Kawasaki also says 22% of 250 buyers were female and while the seat is no lower on the 300, it is much narrower near the tank, which means it is easier to reach the floor for shorter or less confident riders." You can buy this bike here for £2999.